What is video conversion? Why would I need to convert my videos? Video conversion is the process of converting videos from one format into another, where the format of a video comprises its resolution, the video and audio codecs in use (like H.264 and AAC), the aspect ratio (like 4:3 or 16:9), the bit rate, and the container format (like MP4, MOV and others). Videos need to be converted when their original format does not play on a target device (e.g. a computer / smart phone) or work for a particular distribution channel (e.g. a website / social platform). Videos may also need to be converted to reduce their file size for easier sharing, storage or playback. you have a video file with a format or codec that your computer won't play. someone asks you to send a video as a .MP4 file, but your file is a .MOV file. you want to save and play a DVD or large movie file on a smartphone. you want to email a video that is above your email attachment size limit. 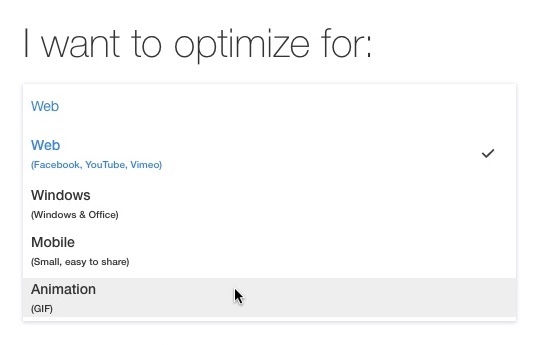 you want to convert a video for faster uploading to Youtube. Clipchamp Utilities greatly simplifies video conversion by letting you choose from presets for a select number of typical situations. It converts from a broad range of different formats and codecs to more compatible, commonly-used ones. All you need to do is sign in to the website, drop your file and click convert. You don't need to download any software and your videos don't get uploaded anywhere, giving you speed, privacy and convenience. The free version allows you to convert unlimited videos with a small watermark. Alternatively, you can upgrade to remove watermarks. To learn more about how it works, see: How to convert or compress a video.